The quest for biomarkers to accurately diagnose AKI is often analogized to ACS/myocardial infarction. Thus we have dubbed AKI biomarker investigation the "search for our troponin," with the goal of facilitating early and accurate diagnosis of AKI that will lead to successful interventions, the equivalent of PCI for STEMI. What remains unclear is what should trigger such markers to be tested. If the usual method of considering AKI via creatinine rise (of varying magnitudes) or fall in urine output is felt to be too late, a new set of earlier criteria must be used to trigger evaluation for AKI via the usual means (urinalysis, microscopy, urine electrolytes etc) and via biomarker testing. To that end, Goldstein and Chawla have tried to define "renal angina," the combination of risk factors, clinical criteria, and laboratory findings that are suggestive of evolving AKI and should trigger further exploration by available means, or, at some future point, with testing of proven biomarkers. They address both the adult and pediatric population but I will focus on the adults for now. What is somewhat dissatisfying is that their criteria are nearly equivalent to, and therefore no better than, current practice at detecting AKI to trigger further evaluation. Once volume overload, oliguria, or rising creatinine (however small) ensue, the damage may already be done. Further focus on the creatinine value, effectively a late marker, to define early AKI is seriously flawed. Setting aside the statistical pitfalls of comparing new markers to an imperfect gold standard, creatinine, no matter how small the changes considered, is still a poor biomarker of AKI - more analogous to AST or LDH in ACS/MI- and in the search for better alternatives to it, it cannot also be used to define the clinical syndrome it seeks to diagnose, any more than AST, LDH, or troponin can define angina. The goal is to define a high risk group in which to detect or evaluate for AKI before a significant decrement in GFR signified by a rising creatinine! And this is where I think the analogy falls apart. Early or evolving AKI or risk for renal injury has no clinical signs or symptoms analogous to cardiac angina. If this is the case, what should trigger the putative biomarker testing? Seems that risk factors would be more appropriate. Maybe everyone should have AKI markers checked on admission to the medical ICU? Or maybe hospitalized patients with three or more risk factors, a renal TIMI score if you will, should have AKI markers checked regularly. As the editorialists suggest, the utility may be in the principle that we define an appropriate clinical scenario in which to screen for early AKI (the "angina") and not in the actual criteria proposed to define renal angina. Or maybe the analogy has, in the words of Hollywood, "jumped the shark" - that is, run its course? 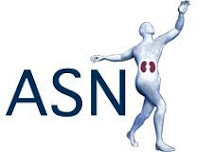 This months issue of JASN has a review of ANCA-associated vasculitis. The authors discuss the controversy regarding the naming of Wegener’s Disease and whether it’s time for a new name to be chosen for this condition. Dr. Friedrich Wegener was a German pathologist who is best known for first describing the pathological condition that bears his name. He was in receipt of numerous honors throughout his life including the title ‘Master Physician’ which he received from the American College of Chest Physicians (ACCP) in 1989, the year before his death. He was known as an excellent physician and educator having taught for many years in the university of Lubeck. However, it seems that he had a murky past of which few were aware. After finishing medical school in 1932, he joined the Sturm Abteilung (SA), also known as the brownshirts, the paramilitary wing of the Nazi party. The following year he joined the Nazi party itself when Hitler came to power. He rose through the SA and achieved the rank of Lieutenant Colonel by 1938. During the 1930s his mentor was Dr Martin Staemmler, a prominent supporter of the Nazi party who had written extensively on racial hygiene. When the war started, he was sent to Lodz in occupied Poland where he worked as a pathologist until 1944. His office was just a few blocks from the Lodz ghetto where more than 40,000 Jewish inmates died during the war with most of the remainder deported to concentration camps. Although there is no evidence that he was involved in ‘selections’ he is known to have performed autopsies on inmates of the ghetto and could not have been unaware of what was going on. After 1944, he served as a field surgeon in the German army until the end of the war. His name was placed on a list of war criminals by the Polish government but he was never prosecuted and underwent de-Nazification in 1947 after which he was allowed to return to practicing medicine. Although many professionals in Germany joined the Nazi party in the 1930s for the purpose of enhancing their careers, it is instructive that Dr Wegener joined the SA prior to Hitler’s rise to power suggesting that his sympathies lay with the Nazis. That said, there is no specific evidence that he took part in any war crimes. In 2007, after this paper was published, the ACCP decided to posthumously rescind the award of master clinician awarded in 1989. Since then there have been calls by physicians and patient advocacy groups to change the name of the Wegener’s Granulomatosis. The original paper published in the Lancet in 2006 can be found here while another paper detailing the search that the authors conducted in order to discover this hidden history is here. 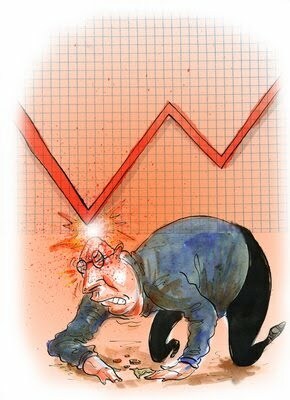 Variability in Blood Pressure: Just a blip? What is your approach to the patient with occasional high, or variable, blood pressure readings, or measurements that bounce around above and below the target range? Implicit in these statements is the largely untested concept that there exists a “true” blood pressure that causes vascular disease, and that visit-to-visit variability in readings represents random noise that gets in the way of knowing a patients “true” blood pressure (i.e. mean BP over time). While there is no doubt that the mean BP over time is an important predictor of vascular disease, it is also possible that other aspects of BP are important, such as variability or surges/spikes in BP. In reality, the mechanisms by which raised blood pressure causes vascular events are poorly understood. People whose SBP remains variable on treatment have a poor prognosis compared to those who don’t. Variability in SBP was a stronger predictor of stroke in patients whose mean SBP was less than the cohort median (143 mmHg) i.e. those patients sitting in the borderline range. You can’t diagnose “variability” on 2 readings! You need to take several over time, and precision improves up to the tenth recording. These results fundamentally challenge the prevailing wisdom regarding blood-pressure and how we diagnose, treat, and monitor patients with hypertension, and I can see them having far-reaching implications in the future. I talked earlier this year about “Compensation for living donation”. The comments I got show how controversial this subject is. I was happy to see that ATC this year opened the debate on this crucial matter because keeping the status quo means more people dying on dialysis. I will try to summarize the discussion and you can refer to the ATC website for more details. The system eliminated the waiting list so more lives were saved. He claims that potential donors were evaluated thoroughly by nephrologists and the transplant team for clearance. 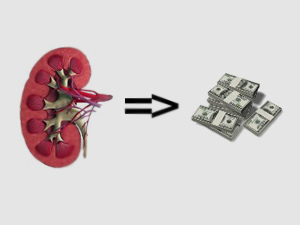 Patients paid 3/4 of the amount of the compensation that is set by the transplant community. This amount is revised every year depending on inflation. The government paid 1/4. Charity organizations took over in cases of patients of low socioeconomic status. The donor was offered free follow up medical care by the government. From the data shown, LRD was minimal in this system, most likely because relatives lost the incentives to donate. DCD kidneys were also minimal because “buying a kidney” would limit the time on dialysis. A recent change to the system was made and every ESRD patient had to stay on the deceased transplant list for at least 6 months before looking for a living donor. It seems that LRD and DCD transplants increased after the implementation of this new policy probably because relatives now had an incentive to donate so they can limit the time on dialysis for their loved ones. Dr. Padilla talked about the failed system for organ compensation in the Philippines. She felt this was mainly due to the government's failure to regulate the system. Dr. Danovitch certainly made excellent comments on how "Commercial living donation displaces non-commercial living unrelated donation and comes at the expense of living related donation". This was obvious in the Iranian and the Israeli experience, although one may think that enrollment of the ESRD patients on the deceased list before they are allowed to look for a living donor could potentially give incentives to friends and family to donate. I think the most important comment he made is about how “the rest of the world might follow suit if the U.S. allowed incentivized organ donation”. Those parts of the world may not have the regulation ability as the US government, causing what Dr. Danovitch called "blowback" in a global competition of incentives. On the other hand, Dr. Danovitch talked about the disincentives for people to donate. He showed data that more people of high socioeconomic status are donating as LURD. I can’t believe that people of low socioeconomic status have less good intentions than rich people but simply they couldn't afford to do this act of love to friends or beloved ones because of the disincentives I talked about in the previous blog. Dr. Matas offered an interesting potential model in the US including “national criteria for selecting donors under an incentivized plan. The organ procurement organization could set up screening interviews, including medical and psychological evaluation and panel reviews involving the surgeons, other transplant physicians, transplant coordinators, social workers and patient advocates. If accepted, a computer algorithm would determine the allocation of the kidney to a center with an appropriately matched candidate at the top of a wait list”. An interesting comment during this session came from Dr. David Sachs who saw that both Dr. Danovitch and Dr. Matas were talking about the same thing and he felt that eliminating disincentives or compensating donation could be the same thing and we should be working together to eliminate the waiting list rather that fighting. Those disincentives could be eliminated by indirect compensation. I think it’s about time to start discussing this issue with an open mind and no prejudice, knowing that most people including myself have controversial feelings and need more enlightenment from other people. I would appreciate your comments and voting. As this is restaurant week in Durham, NC, I thought it would be fitting to blog about the health benefits of food, in particular the delicacy that is 'dark chocolate'. This is not a new idea in the cardiovascular literature, but I recently came across a brief review in Hypertension by Egan et al. on the anti-hypertensive effects of dark chocolate. Although, I doubt this topic will be tested on the nephrology boards, it will likely be consumed in large quantities while studying for them. As reported by McCullough et al. the Kuna Indians of Panama consume large quantities of cocoa, and, despite a high sodium intake, have a low prevalence of hypertension. However, Kuna Indians who migrate to Panama have a higher prevalence of hypertension than Islanders. Kuna Islanders consume 10 times more cocoa than those in Panama and have 80% less cardiovascular disease. This, and other evidence, has led some researchers to postulate that certain flavanols (specifically epicatechin) found in cocoa can lower BP and improve vascular function, insulin sensitivity and reduce platelet reactivity. In vitro data has suggested that flavanols can inhibit angiotensin converting enzyme activity. However, this is at much higher doses than would be achieved in vivo. Animal data has suggested that epicatechin can activate nitric oxide synthase causing vasodilation. Chocolate has remained an important part of many cultures. The Spanish brought cocoa to Europe where sugar was added to sweeten the taste. The Dutch developed cocoa powder, the Belgians defined pralines, and the Swiss created a smoother texture to the chocolate by a method called conching. Milk chocolate reins supreme in the US and dark chocolate has taken a back seat unfortunately (as far as possible health benefits are concerned). The effect of dark chocolate on blood pressure has been studied in 13 reports that were of enough quality to include in this brief review. Of these, only 6 were double-blinded controlled trials. Most of these studies only included 20-90 total subjects and the effects of dark chocolate were only measured for 4 days to 6 weeks. I would hardly call any of these studies "rigorous". In the 13 reports, 6 or the 7 open-labeled studies lowered BP (only modestly, 3-12 mmHg), while only 1 of the 6 randomized studies lowered BP (3 mmHg). This has put into question whether dark chocolate consumption actually lowers BP. It is unclear if the open labeled studies only showed the placebo effect in lowering BP or if this was truly an effect of the dark chocolate. As indicated earlier, several flaws were seen in the design of these trials. Most notable was the difference in brand of cocoa that was used in each study. 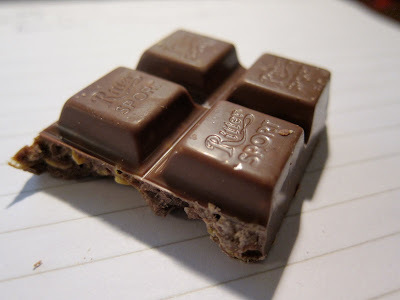 Ritter dark chocolate being used in the open label studies primarily and Mars/Dove being used in the randomised studies. For now, there is not enough data to firmly answer the question as to the blood pressure lowering effects of dark chocolate. However, further research into the potential benefits of certain naturally occurring chemicals in chocolate, such as epicatechin, could produce novel antihypertensive agents. So, a firm recommendation for daily chocolate consumption is likely not happening any time soon. Drug-induced autoimmune diseases of the kidney include SLE-like disease and drug-induced vasculitis (DIV). As many as 10% of all diagnosed Lupus cases in the US may be drug-induced Lupus (DIL). These syndromes typically develop after drug treatment for a prolonged period of time (at least 6 months and up to decades). Symptoms often include rash, fever, arthralgias, myalgias, serositis, vasculitis / glomerulonephritis and pulmonary hemorrhage. 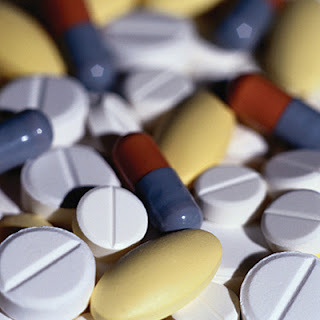 The diseases often resolve upon cessation of the drug. The incidence of DIL with long-term Hydralazine therapy has been reported to be as high as 5% and in some studies even higher. 1. DIL is of later onset than SLE, affects males and females equally and presents in general with less severe symptoms. Anti nuclear antibodies (ANA) are often directed against Histones and rarely against dsDNA. Some proposed drug-induced pathomechanisms are hypomethylation leading to T cell activation, change of nucleosomes by epitope liberation, macrophage inhibition causing decreased uptake of apoptotic cells and last but not least genetic predisposition. Case reports suggest that family members of affected patients are at higher risk for developing a drug-induced auto-immune response. 2. Drug-induced vasculitis (DIV) typically involves antibody formation against more than one cytoplasmic neutrophil antigen leading typically to a perinuclear staining pattern (p-ANCA). Cytoplasmic antigens identified include MPO (Myeloperoxidase), HLE (Human Leucocyte Elastase), Azurocidin, Cathepsin G and Lactoferrin. Differences between DIV vs. idiopathic disease include significantly higher titers of anti-MPO and multi-specific ANCA (more than one target Antigen in addition to MPO). One proposed pathomechanism is that certain drugs transform into highly cytotoxic metabolites in presence of neutrophils triggering autoimmunogenicity and thereby ANCA formation. AWAK: sci fi creature, or PD modality of the future? It’s time to write about something truly cool in the world of dialysis (how often do we get to say that?). In early 2011, clinical trials are scheduled to begin testing the AWAK, or Automated Wearable Artificial Kidney. First introduced two years ago, AWAK is a peritoneal dialysis strategy using an automated pump to fill, drain and filter peritoneal dialysis fluid. It weighs about 4 lbs, and is designed to be worn around the waist. It works as follows: the patient instills an initial amount of fluid into the peritoneal cavity. Every few hours, the PD fluid is moved through a fibrin and debris trap, a carbon filter and also through sorbents that help clean and regenerate the dialysate. The PD fluid is sterilized and enriched with electrolytes and glucose removed by the sorbent apparatus. It is then returned to the peritoneal cavity for another cycle of dialysis. The desired fluid volume to be removed is stored in a small bladder, which can be emptied periodically. The filter and sorbent module are changed periodically, and the dialysate can be exchanged every 2-3 months. While the advantages of having round-the-clock, wearable technology are obvious, just as clear are the challenges that face this novel technology. Will the sorbent cartridges cleanse the peritoneal fluid adequately? And will the zirconium used in the cartridges be safe in the short and long term? It is also unclear how a patient would adjust the system to alter desired fluid removal. Reliability and infection risk will need to be thoroughly evaluated. And not least, it remains to be seen whether patients will really want to wear a bulky dialysis belt around all day (fashionable, it’s not). Still—it’s novel, and cool. And if it works, it may provide select patients with a better quality of life. 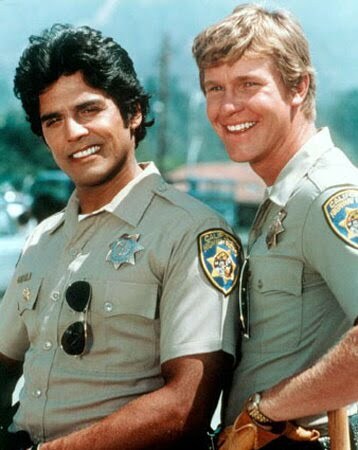 David Lee and Martin Roberts. A strong, causative association between long-standing cigarette smoking and hypertension has recently been identified in individuals previously categorized as having “idiopathic” nodular glomerulosclerosis. In the largest case series available of “idiopathic” nodular glomerulosclerosis (n=23), Markowitz et al found a high prevalence of hypertension (95.7%), smoking (91.3%), hypercholesterolemia (90%), and extrarenal vascular disease (44%). The mean pack-years for smoking were 53 +/- 7 years. This cohort, in which diabetes was excluded, was comprised mainly of older, Caucasian male patients. The clinical presentation of this condition included renal failure (mean sCr 2.4 mg/dL) and proteinuria (mean 24 urine protein 4.7 g/d). The median time from biopsy to ESRD was 26 months. Although the pathogenesis of “idiopathic” nodular glomerulosclerosis remains enigmatic, some have proposed that smoking alone is the putative agent. Potential mechanisms of renal damage induced by smoking include: oxidative stress from free radical formation, increased formation of advanced glycation end products (AGE), angiogenesis, and altered intrarenal hemodynamics. 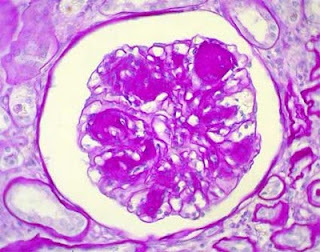 Given the plausible role of smoking in the pathogenesis, some have argued the nomenclature be changed to “smoking-associated nodular glomerulosclerosis”. In summary, if the renal boards present a non-diabetic, elderly man with an extensive history of smoking, who insidiously develops renal failure and proteinuria, in conjunction with a renal biopsy that shows nodular glomerulosclerosis and negative IF and Congo red staining, the diagnosis is assuredly “idiopathic” or “smoking-related” nodular glomerulosclerosis. The bladder is able to stretch to accommodate such swings in urine volume thanks to two properties of its epithelium. The first one is a folded apical membrane, which unfolds as the bladder is filling, changing the shape of the top layer of urothelial cells – also called umbrella cells -- from a rounded one to a more flat, squamous one. 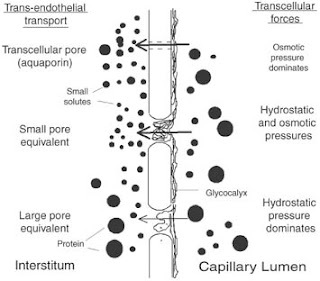 The second feature is a collection of membrane vesicles, tethered close to the apical surface by cytoskeletal fibrils. As the cell stretches and becomes flatter, the vesicles fuse with the apical membrane, increasing its surface. The bladder is normally impermeable to the components of urine: molecules, such as urea, ammonia, and water, which usually freely travel through epithelial membranes. Aside from the presence of tight junctions between cells, this impermeability is a function of the composition of the lipid bilayer of the apical epithelial membrane, where the specific arrangement of lipid hydrocarbon tails impairs travel of these molecules across the bilayer. In addition, special proteins, called uroplakins, form aggregates called plaques. These plaques occupy 70-90% of the surface of each cell and help keep urea and water out. 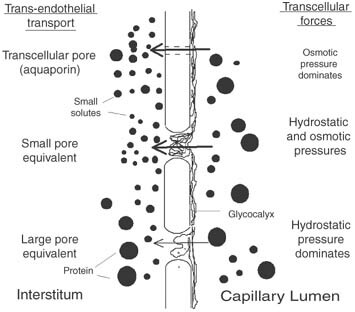 When uroplakin was knocked out in mice, their urothelium became permeable to urea, and, to a lesser extent, water. Interestingly, the urothelium has amiloride-sensitive ENaC–type channels, present at very low levels in normal human bladders (and with different subunit stoichiometry in different mammals). Channel expression may increase in states of elevated bladder pressure, such as in bladder obstruction, an observation consistent with a recent report suggesting that the role of the ENaC -type channels appears to be more important in mechanosensation. Some interesting reviews and relevant articles can be found here, here, here and here. I recently saw a young hypertensive patient who had suffered a motor vehicle accident complicated by a transected aorta that was successfully repaired several years back. He has had hypertension since then and was referred to us for evaluation and management of resistant hypertension. The workup is ongoing so we don't yet have the (secondary) diagnosis, if any, however the differential included some interesting entities, such as post-op coarctation and an interesting phenomenon known as Page kidney. Page kidney, first described by Dr Irvine Page in 1939, is the phenomenon of hyperreninemic hypertension that results from extrinsic compression of the renal parenchyma. Page first described the phenomenon in animal models, showing that wrapping an animal kidney in cellophane led to hypertension (see original JAMA article). Clinically, the phenomenon is seen after trauma or after a nephrologic intervention such as a kidney biopsy. In either case, a subcapsular hematoma leads to compression of the affected kidney parenchyma and reduces renal blood flow, leading to renin release. A tumor or cyst can cause the same phenomenon. Time course from traumatic incident to hypertension is not universally consistent, and the hypertension can be immediate or subacute in onset. The hypertension often resolves after nephrectomy, though some case reports of successful evacuation of the hematoma or drainage of the compressing cyst have been reported. So next time you biopsy, be sure to watch for tachycardia and hypotension as a sign for post-biopsy bleeding as usual, but don't dismiss new hypertension as a reassuring sign that there is no bleed! See Page Kidney featured in NEJM's Images in Clinical Medicine here. Since the retraction of the COOPERATE trial by the Lancet late last year (following Regina Kunz's famous 'letter of concern'), combination RAAS blockade has suffered something of a fall from grace. This was dealt a second blow by the results of the ONTARGET trial, where combination treatment in diabetics with vascular disease was associated with an increased rate of AKI and adverse events, without additional benefit. However, it must be remembered that patients in that trial did not have proteinuria, and the study endpoint was a composite outcome of death from cardiovascular causes, not progression of renal disease. As nephrologists, we are commonly faced with the problem of patients with CKD and heavy proteinuria not controlled by an ACE or ARB alone, and whom we know are at high risk for progressive renal disease. Is there evidence for combination therapy in this context? In the latest AJKD, this trial by Bianchi et al. makes for provocative reading, although I feel the results must be interpreted with caution. They randomized 128 patients with a clinical diagnosis of idiopathic chronic GN to either intensive therapy (ACE + ARB + spironolactone + high dose statin) or conventional therapy (ACE + low dose statin). The endpoints were change in GFR, proteinuria and adverse events at 3 years. The intensive arm experienced a far greater reduction in proteinuria and stable GFR over time compared to the conventional arm (who lost ~ 7ml/min over the study period) at the expense of more hyperkalemia and discontinued therapy. I was surprised at how little hyperkalemia developed in the intensive arm (9 vs 3 events). I would have to admit to being pretty nervous of triple RAAS blockade for fear of this complication. That said, if patients can tolerate the combination, the outcomes based on this small study look promising. Thanks to Dr. Rafael Santamaria for bringing this trial to my attention. 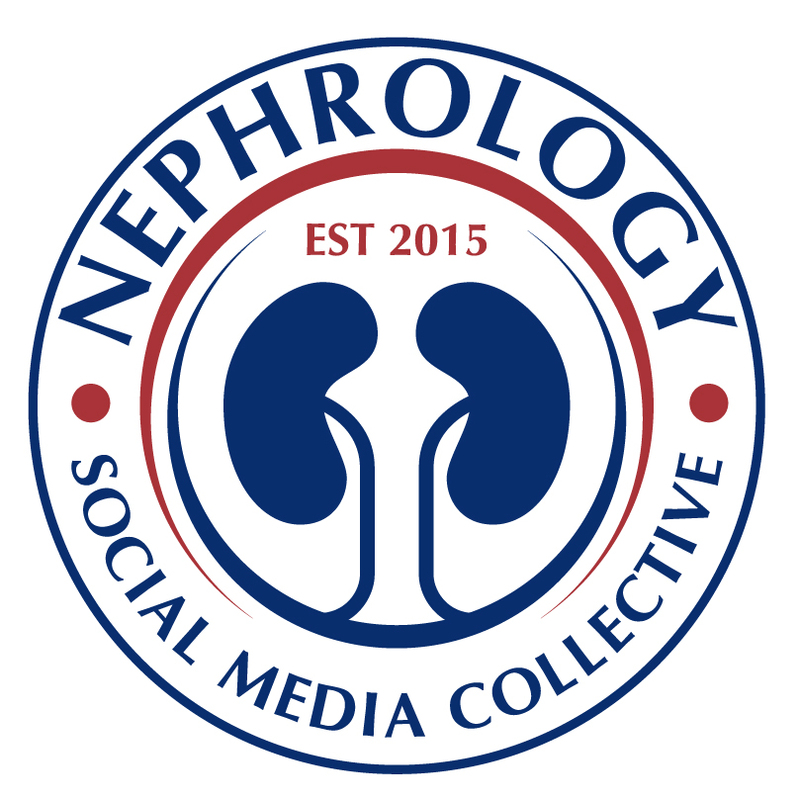 The Renal Fellow Network has finally joined Facebook. Find us on Facebook and get daily updates on blog posts from the site plus relevant kidney related news from around the world. The International Society of Nephrology (ISN) has designated the Renal Fellow Network as an ISN web favorite. The contributors to the RFN are proud of this designation and plan on continuing this wonderful resource for nephrology fellows (and anyone interested in kidney diseases) in the US and around the world. "Hey Doc, I think my kidneys hurt." 1. Nephrolithiasis. 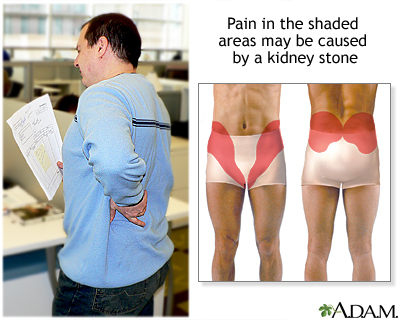 A kidney stone lodged in a ureter or in the kidney parenchyma can obstruct the flow of urine and cause subcapsular swelling and hence, pain. 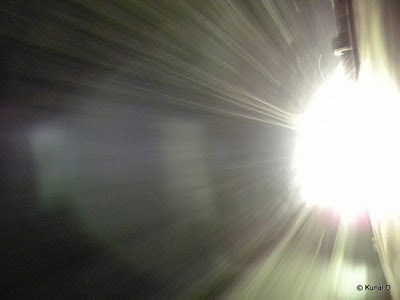 Pain is classically severe, localized to the flank with occasional radiation to the groin, colicky in nature, and may be associated with nausea and vomiting. 2. Pyelonephritis/UTI. Infection and inflammation of the renal parenchyma can also lead to swelling and distension of the renal capsule. 3. Renal masses. This can be in the form of cysts (i.e. polycystic kidney disease) or tumors such as renal cell carcinoma or angiomyolipomas, either of which may distend the renal capsule and cause pain. 4. Renal hemorrhage (intraparenchymal bleeding due to injury or trauma). 6. Renal infarction. A rare cause of kidney pain, this can be due to a thromboembolic event or an in situ thrombosis of the renal artery or its branches. It typically presents with sudden onset, acute flank pain or abdominal discomfort, usually associated with nausea and vomiting. Fever can sometimes be seen as well. 7. Renal vein thrombosis. Can be more insidious or present acutely like renal infarction with sudden onset flank pain. The final blow for high dose B-vitamins? Efforts aimed at lowering homocysteine levels in order to prevent the progression of CKD and cardiovascular disease takes another major hit in the April 28 issue of JAMA. 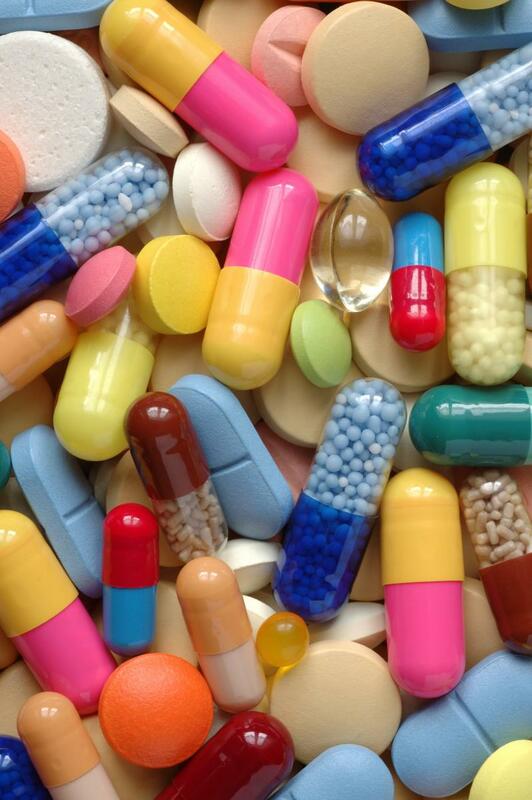 High dose B-vitamin therapy has been shown to lower the plasma concentration of homocysteine. Several observational studies have shown an association between high plasma homocytseine levels and the risk of developing diabetic nephropathy, retinopathy and vascular disease including MI and stroke. Some have even identified lowering homocysteine levels as a modifiable risk factor in cardiovascular disease. However, this is the 7th study published showing high dose B-vitamin therapy was either no better or worse than standard dose vitamins. Two of these prior studies are briefly summarized below. In 2006, NEJM published the results of the HOPE-2 study. This study followed 5522 patients >55 who had vascular disease or diabetes to high dose (2.5mg folic acid, 50mg B6 and 1mg of B12) or placebo for 5 years. RESULT: No difference was seen between both groups in regards to risk of death from a cardiovascular cause or MI. At ASN last year the results of the FAVORIT trial were released. This is the largest randomized study of kidney transplant recipients ever performed. This study followed 4110 Kidney transplant recipients with hyperhomocysteinemia at 30 clinical sites across North America and Brazil. They were randomized to either the high-dose (5 mg folic acid, 50 mg B6 and 1 mg B12) or standard-dose (0 mg folic acid, 1.4 mg B6 and 2 mcg B12) multivitamins. The study was halted after 3.5 of the planned 5 years of followup. RESULT: No difference in cardiovascular outcomes (the study's primary end point), progression to dialysis-dependent ESRD and all-cause mortality in both groups. This current study (Diabetic Intervention with Vitamins to Improve Nephropathy DIVINe) of high-dose B-vitamin therapy takes aim at the progression of diabetic nephropathy. A condition that is often relentless in its progression to ESRD. 238 patients at 5 academic medical centers in Canada with DM1 or 2 and a clinical diagnosis of diabetic nephropathy were randomly assigned to either high-dose B-vitamin (2.5 mg folic acid, 25mg B6 and 1mg B12) or matching placebo and followed for an average of 39.1 months. The primary outcome was change in radionuclide glomerular filtration rate between baseline and 36 months. Other outcomes included dialysis and a composite of heart attack, stroke, revascularization and all-cause death. Radionuclide GFR decreased by a mean of 16.5 in the B-vitamin group compared with 10.7 in the placebo group (P=0.02). No difference in requirement of dialysis. Plasma total homocysteine decreased by a mean of 2.2 micromol/L in the B-vitamin group compared with a mean increase of 2.6 micromol/L in the placebo group. So, is the era of lowering homocysteine to prevent renal and cardiovascular outcomes over? This is the first study to show a significant detrimental effect from pharmacological doses of B-vitamins. My guess is that funding for other trials will cease. Interestingly, the placebo group actually started at a lower GFR and had less RAAS blockade although the B-vitamin group progressed faster. The authors of this study hypothesize that the high dose B-vitamins may actually have some direct toxicity that offset the protective effects of homocysteine lowering. Furthermore, they explain that the widespread fortification of folic acid in food could limit the generalizability of this study to an unsupplemented population. Lastly, the authors conclude that to definitively prove or disprove the homocysteine theory it will be necessary to lower homocysteine levels by an alternative, nonvitamin strategy such as enhancing the conversion of homocysteine to cysteine in the liver or enhancing urinary excretion. I recently rounded on a patient on dialysis admitted for a stroke. The primary team ordered a homocyteine level which was profoundly elevated. For now, strategies to lower homocysteine levels with high-dose B-vitamin have not proven beneficial and from the DIVINe trial may show harm. I read a nice review of Fabry’s disease recently, and was surprised to read that its prevalence in ESRD may be as high as 1-2%. That figure is likely an underestimate, given the frequent failure to screen for the disease in patients with nephropathy and other common symptoms. Since a recombinant enzyme to replace missing the endogenous protein is available, it is worth reviewing the clinical presentation of the disease—increased awareness will hopefully result in increased diagnosis and treatment. Fabry’s is an X-linked lysosomal storage disorder caused by a deficiency in the enzyme alpha-galactosidase A. 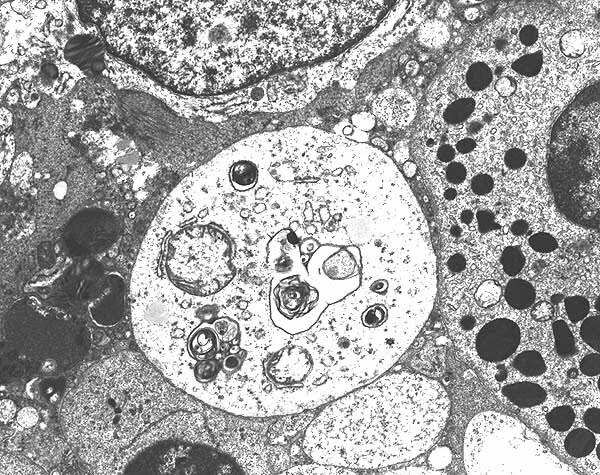 As a result, a buildup of glycosphyngolipids in cellular lysosomes occurs, a process thought to lead to cellular dysfunction. The effects are particularly seen in the nervous system, causing painful acroparesthesias; cardiac myocytes, leading to hypertrophic cardiomyopathy; and the kidneys, where endothelial storage of glycosphingolipids leads to vascular insufficiency and glomerular damage. A typical affected male will manifest frequent episodes of burning limb pain starting in childhood, which unfortunately respond poorly to analgesics. Other early signs of Fabry’s include gastrointestinal pain and hypohydrosis, due to involvement of nerves innervating the gut and skin. Angiokeratomas, small reddish-purple lesions characteristic of the disease, are often present, especially in the groin area (and are often missed on physical examination). Cardiac and renal involvement usually manifest after the first or second decades of life. Fabry’s nephropathy initially presents as proteinuria or isosthenuria, later progressing to renal insufficiency. By age 35 years, half of male Fabry’s patients have proteinuria, and by age 50, about half have developed ESRD. While some female heterozygotes develop renal insufficiency, they do so less frequently, and rarely progress to end-stage disease. Biopsy findings in Fabry disease show lysosomal inclusion bodies containing glycolipid material in visceral epithelial cells, most prominently podocytes. 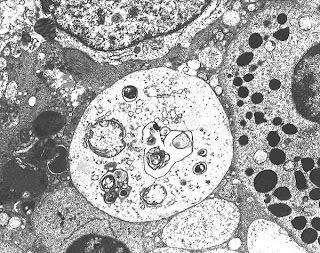 “Zebra bodies”, inclusions of ceramide material in lysosomes, are often seen in the podocytes. Vascular sclerosis along with other chronic changes such as interstitial fibrosis and tubular atrophy are also commonly seen. Fabry’s can be diagnosed definitively by various serum tests measuring the alpha-galactosidase A activity. Sequencing of the GLA gene, mutations of which are known to cause Fabry’s disease, can be helpful in assessing female family members for presence of a carrier state. 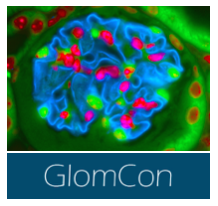 Currently, two formulations of recombinant purified alpha-galactosidase A exist, although only one (Fabrazyme, alpha-galactosidase A alpha) is on the market in the U.S. While trials have not been effective in reversing renal damage in ESRD patients, they have shown a significant slowing in the rate of EGFR decrease in patients with mild renal dysfunction (EGFR > 55 mL/min). Despite the inability to rescue kidney function in our dialysis patients, however, screening plays a vital function in establishing family inheritance patterns—and identifying the next generation of Fabry’s patients in the early stages of disease. So, in younger male patients with ESRD of unclear etiology: ask about Fabry’s symptoms, screen them, and help to increase Fabry’s awareness and diagnosis! I attended a 2-day conference on home dialysis known as "PD University for fellows" sponsored by the International Society for PD (ISPD), Wake Forest University, Baxter and NxStage in Baltimore, MD. This is a free conference for renal fellows taking place 4-5 times every year at different locations. It was one of the best organized and most efficient meetings I have ever attended. Based on my experience I strongly recommend that every fellow finds the time during their 2nd year to attend one of these PD University conferences. Unfortunately most fellowship programs are incomplete in teaching all (advantages and disadvantages) of renal replacement therapies. This meeting re-emphasizes that RRTs should not compete with one another but rather complement each other in the life span of a patient with ESRD to provide the best possible therapy for the individual patient in the course of their disease at a given time. This is an excellent conference worthwhile your time while you are in training. Hotel costs and flight are covered! Attending before taking renal boards will certainly be helpful to answer most of the questions on dialysis-related topics. Does CAPRIT trial need a TREAT!!!! !